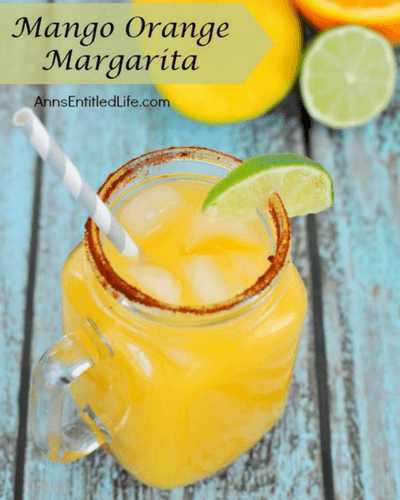 We are ready for summertime in this household and the weather has been gorgeous lately! 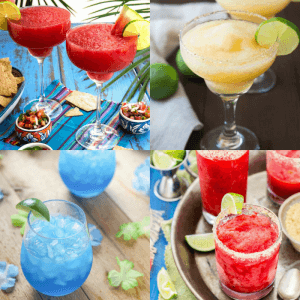 Sunny and 90 degree days which means lounging by the pool, sipping frozen beverages and neighborhood grill outs is around the corner. 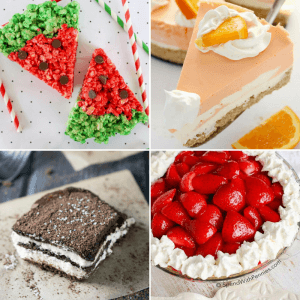 Summer gets pretty darn hot and muggy here in Cincinnati and I try to avoid turning the oven on as much as possible so today we have 20 Crazy Delicious No-Bake Summer Dessert recipes because dessert is always on that weekly must-have list! 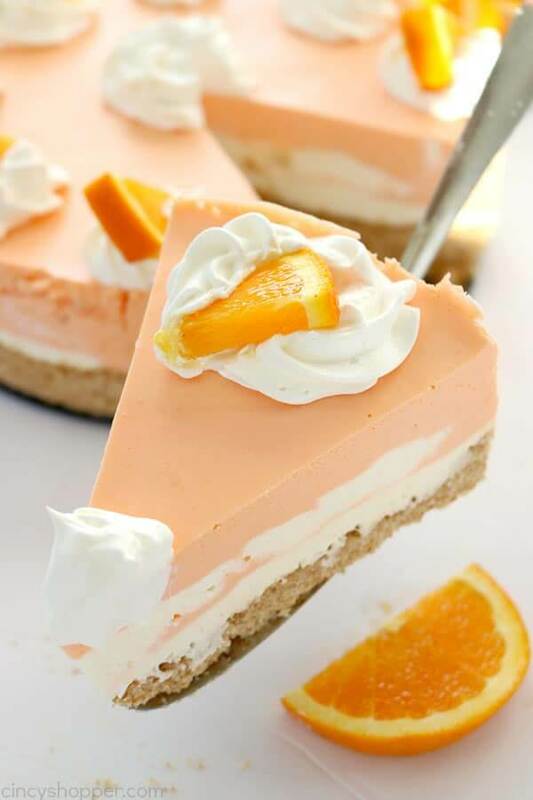 No Bake Orange Creamsicle Cheesecake from The Cincy Shopper. 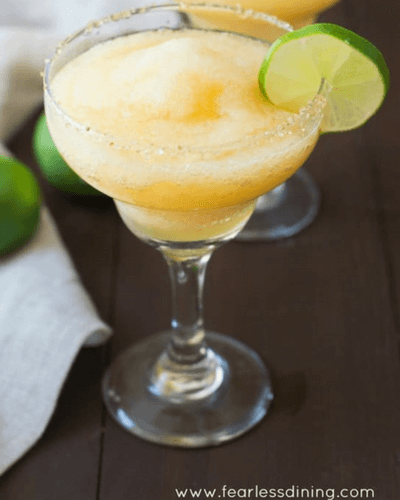 This dessert is gorgeous with a Nilla Wafer crust and layers of orange creamsicle goodness. 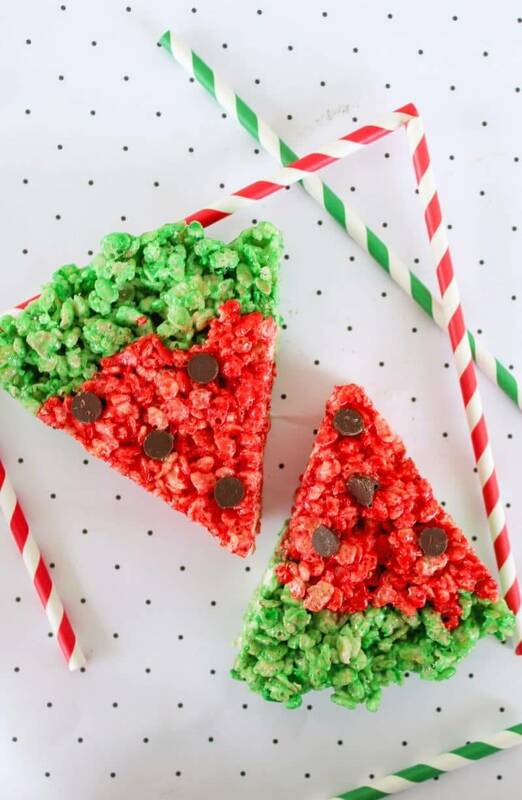 Watermelon Rice Krispie Treats from Crayons & Cravings are basically the cutest no-bake treat for summer! 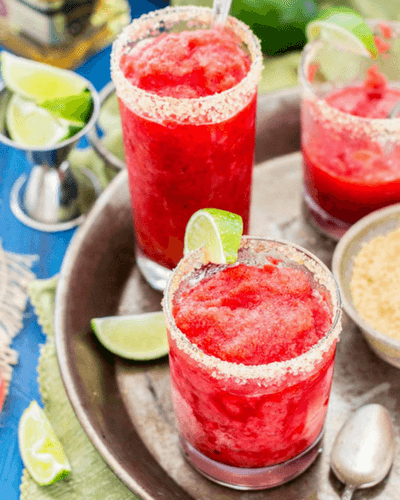 This one will impress friends at summer gatherings and no, you don’t have to tell them how easy it was to make! It can be our little secret. You can’t talk about fabulous desserts without some peanut butter options! 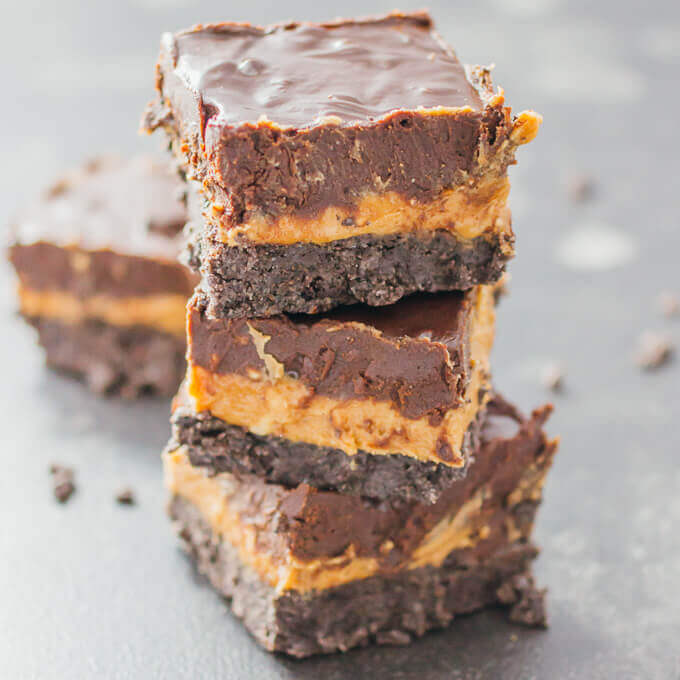 These No Bake Oreo Peanut Butter Bars with Chocolate Chips from Savory Tooth have 3 layers of yum. OREO + peanut butter = gimme some now! 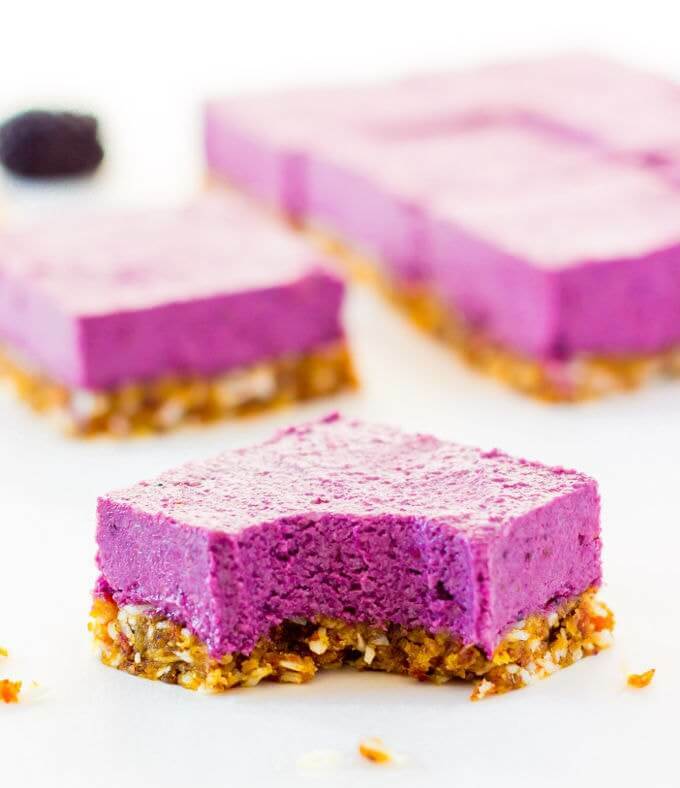 Raw Vegan Blackberry Cheesecake from One Clever Chef has me swooning! 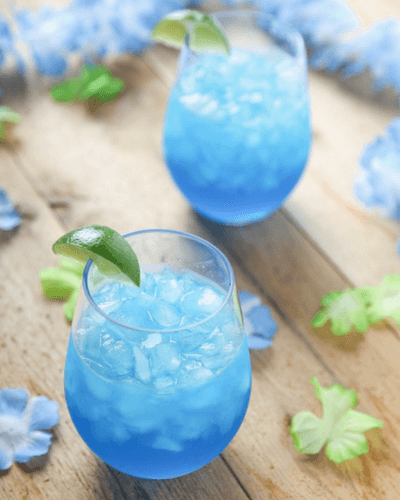 Just look at that color! 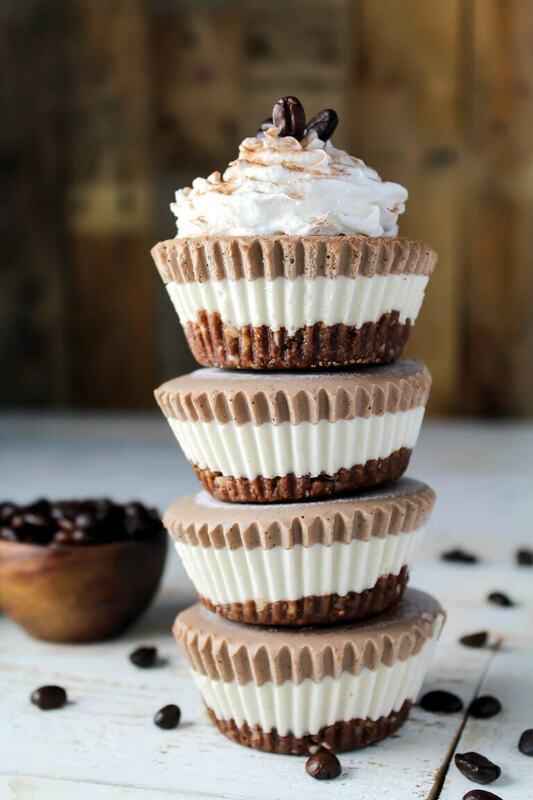 Gluten-free Vegan Mocha Cheesecake Bites from Vegan Huggs is a must-make this summer. Who doesn’t love some mocha? or cheesecake? or bite-sized anything? Chocolate Eclair Cake from Amanda’s Cookin’. Do I need to even say anything? Just wrap it up, I am taking this one to go and no, I probably won’t share. What is summer without some fresh strawberries? 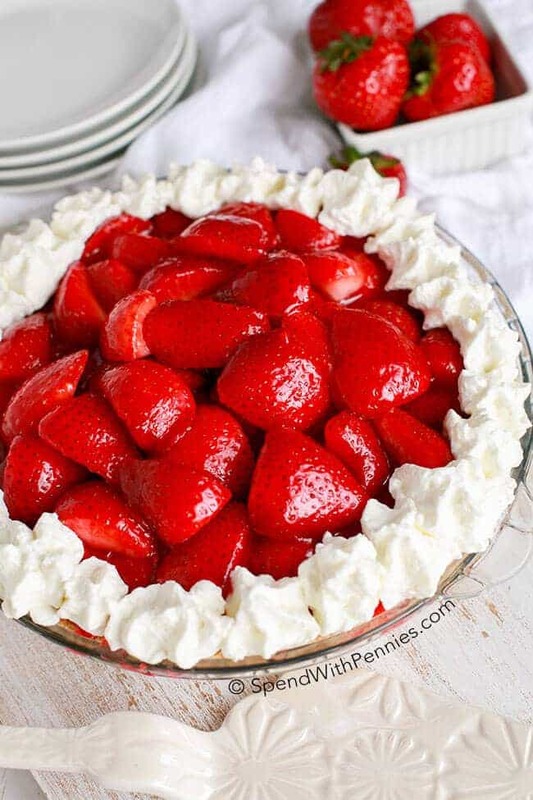 This Strawberry Cheesecake Pie from Spend with Pennies is a creamy no-bake dessert. 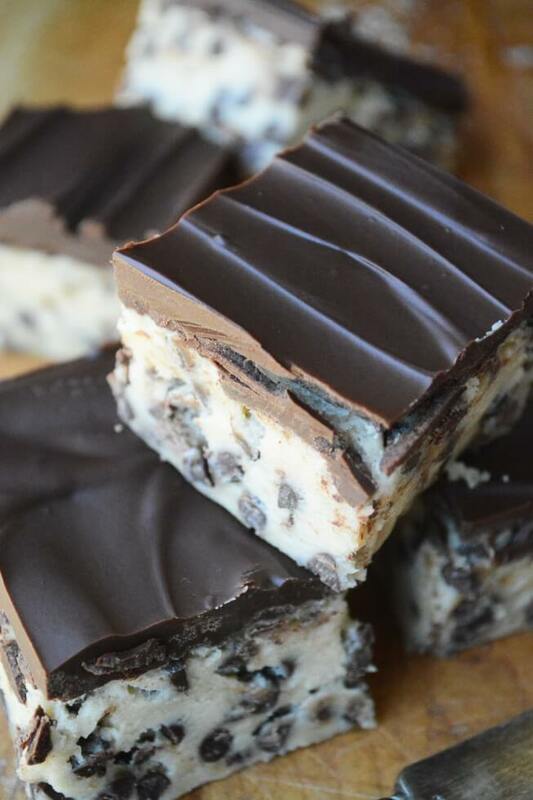 No Bake Chocolate Chip Cookie Dough Bars from The View from Great Island. Eggless cookie dough and rich chocolate combine for a simple summer treat. 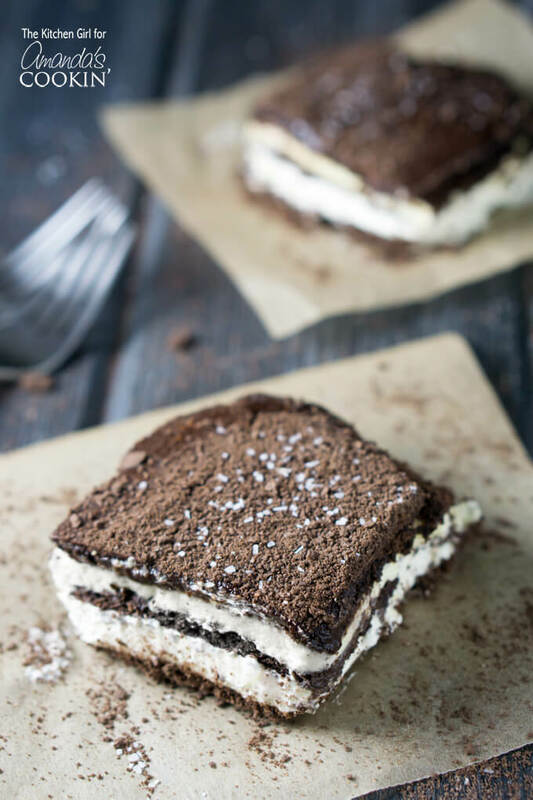 No Bake OREO birthday Cake Squares from Brooklyn Farm Girl. Strawberry Lush Cake from Small Town Woman. Light and Luscious Easy Lemon Trifle from A Magical Mess. No Bake Blueberry Cheesecakes from Pint-Sized Treasures. Coffee Granita from Fun, Food and Frolic. White Chocolate Raspberry Truffles from Sweet and Savory Meals. No-churn Red Wine, Strawberry and Salted Dark Chocolate Ice Cream from Pass Me Some Tasty. Edible OREO Birthday Cake Cookie Dough from Leggings ‘N’ Lattes. Chocolate Salami from The Culinary Jumble. Homemade Banana Cherry Popsicles from Me and My Inklings. Coconut Cheesecake with Berry Jelly from My Gorgeous Recipes. Dreamy Peanut Butter, Banana and Chocolate Popsicles from Occasionally Eggs. This post is sponsored by Hatfield and SheKnows Media. 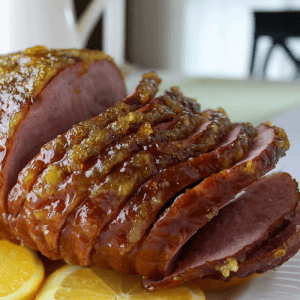 Slow Cooker Orange Marmalade Glazed Ham made in the crock-pot with brown sugar, honey, orange zest, freshly squeezed orange juice, garlic and orange marmalade featuring Hatfield’s Classic Boneless Ham. 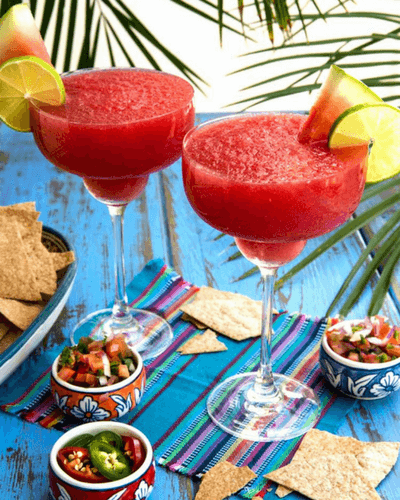 The time of year is upon us for family gatherings, work events and dinner with friends. 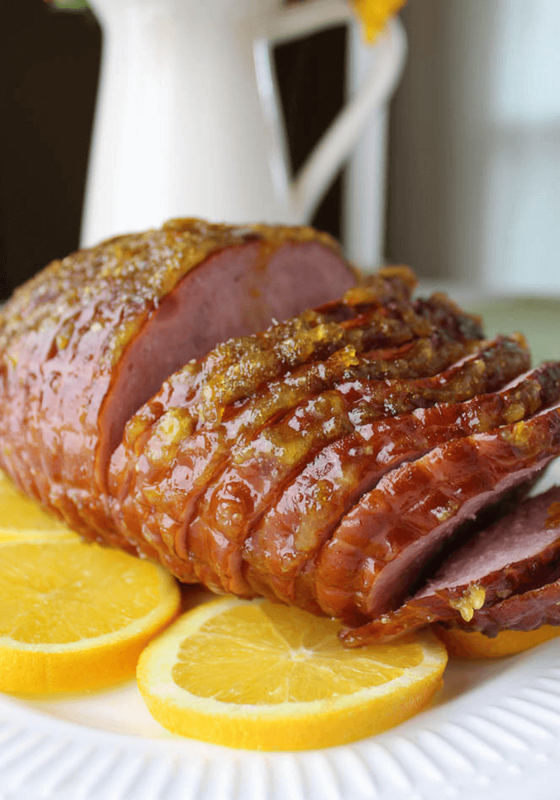 This Slow Cooker Orange Marmalade Glazed Ham is a beautiful centerpiece entrée that’s a real crowd pleasure or just a comforting Sunday dinner on a cold day. This ham can even be prepped at home ahead of time and travels easily in the crock-pot to your dinner party destination. Hatfield is one of Pennsylvania’s family-owned, American-made, heritage brands creating products of high quality. Hatfield products are all about keeping things delicious, simple and stress-free in the kitchen and promotes the importance of family time. In my home, mealtime is family time – no matter where the meal takes place. 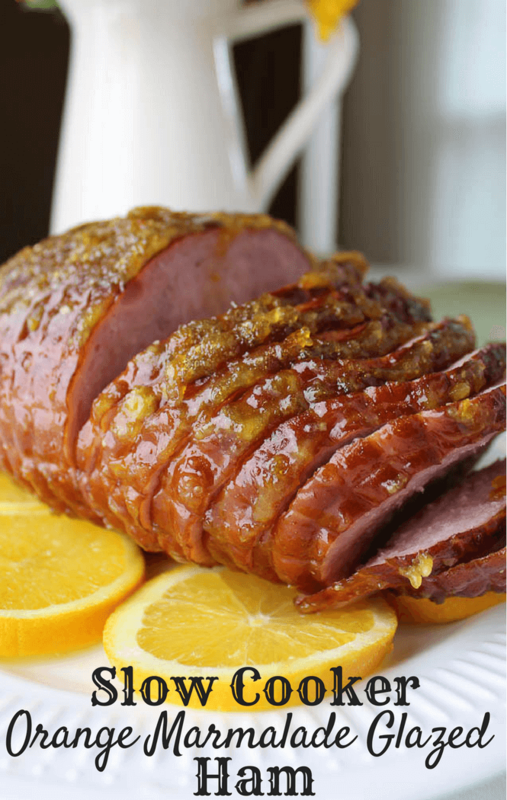 Orange Marmalade Glazed Ham is a favorite classic of mine. Cooking the ham in the crock-pot makes this tasty entrée simple to make and so flavorful! What about the leftovers? 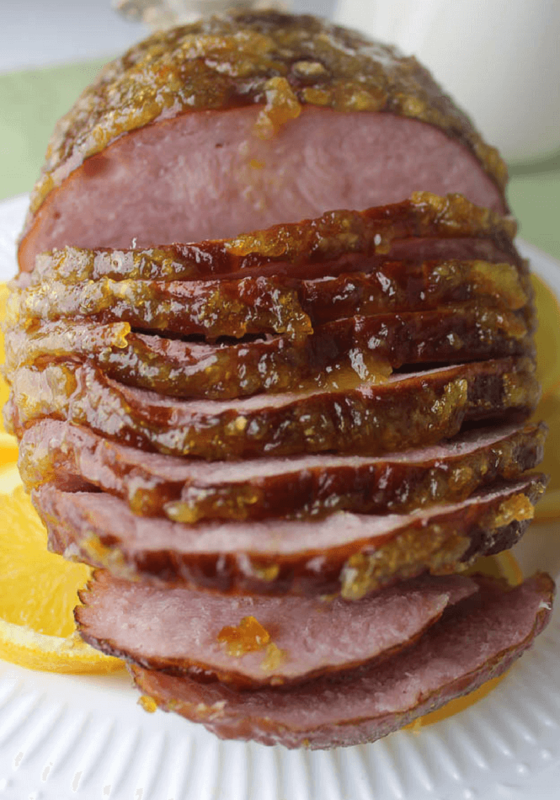 Okay, I will admit, leftovers might be the best part of making this gorgeous Slow Cooker Orange Marmalade Glazed Ham with Hatfield’s boneless hams. Cold ham sandwich with gouda cheese, a grilled cheese with cheddar and warmed up ham, diced in a morning omelet or an easy snack paired with crackers. Open your Hatfield’s Classic Boneless Ham using the easy open tab at the top and place into your slow cooker. For this particular recipe, remove the netting before cooking. Hop over to your food processor. Add the orange marmalade, brown sugar, garlic cloves, honey and zest from an orange. 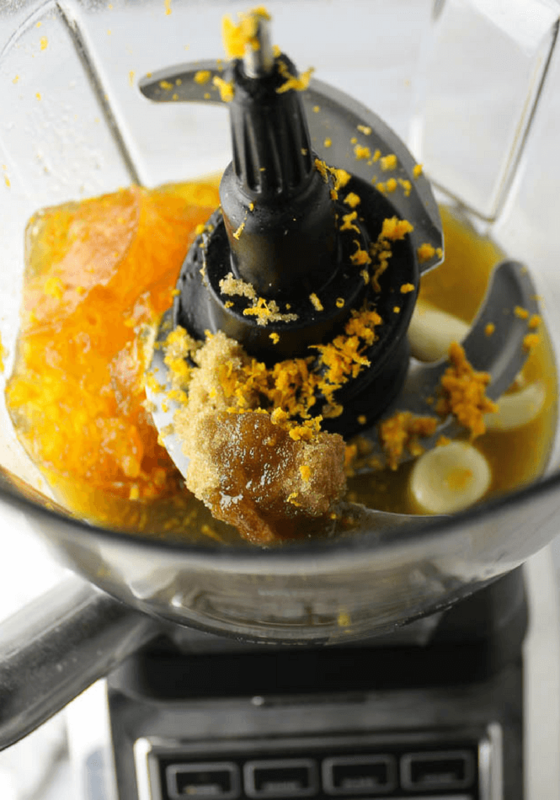 Squeeze the juice from that orange and blend everything together. Pour over the ham and cover the top with aluminum foil. Put the crock-pot lid on and cook on low 4 hours. Half way through cooking, baste the ham once and cover again. I don’t recommend cooking past 4 hours since the Hatfield’s Classic Boneless Ham is pre-cooked so you just want to warm up the product. Once the ham has finished heating up in the crock-pot, pre-heat the oven to broil and place the ham onto a pan. I just use a baking sheet lined with foil. With the juices left at the bottom of the crock-pot, place on the stove-top with a bit of flour. Whisk until the sauce begins to simmer and thicken. Pour over the ham and broil for 5-10 minutes to get that stunning glaze. Slow Cooker Orange Marmalade Glazed Ham is now ready to serve and the smell is amazing! If you need to take the dish to-go, simply put it back into the crock-pot to keep warm and head out. Serve as soon as possible and keep in mind the longer you have the ham on the warm setting, the more you risk it drying out. 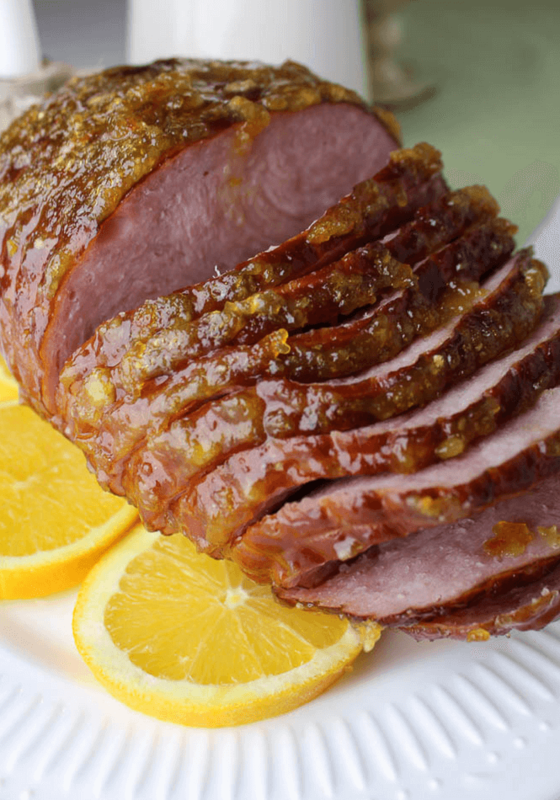 Slow Cooker Orange Marmalade Glazed Ham made in the crock-pot with brown sugar, honey, orange zest, freshly squeezed orange, garlic and orange marmalade cooked with Hatfield’s Classic Boneless Ham. 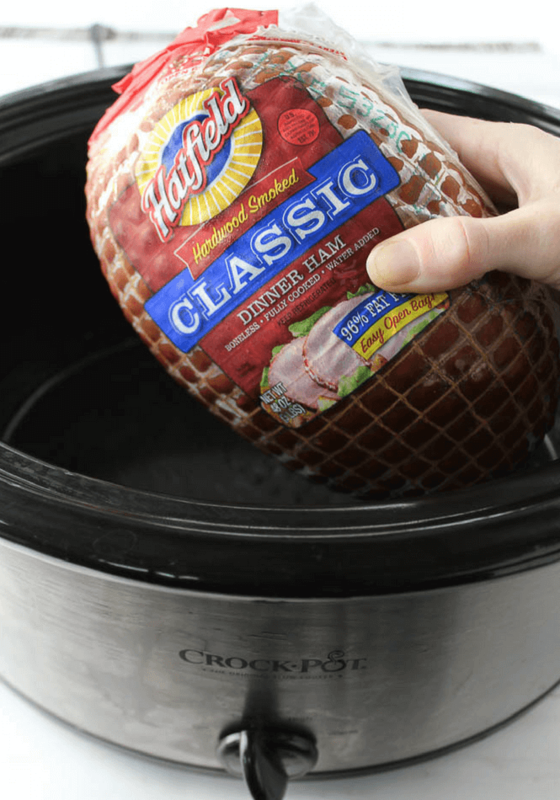 Remove netting from ham and place into crock-pot. In the food processor, add brown sugar, honey, orange marmalade, and 2-4 cloves garlic (4 for my garlic lovers). Zest and juice 1 orange. 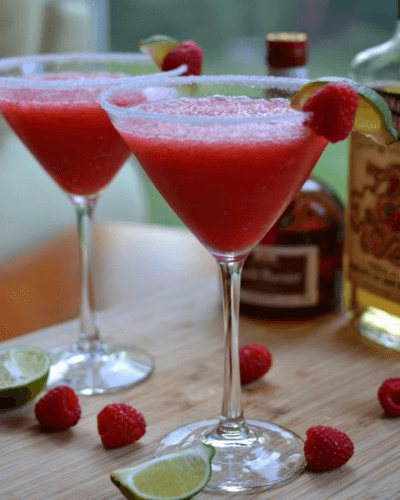 Blend ingredients. Pour the sauce over ham. Cover the top with foil and secure lid. Cook on low 3.5-4 hours. Baste the ham half-way through placing the sauce back on top. Pre-heat oven to a broil. Remove ham from crock-pot and place onto a pan to place in oven. Place the sauce from the bottom of crock-pot into a saucepan on the stovetop on a medium to high heat. Add the flour and whisk until simmering and thickening. Drizzle over the ham and broil 5-10 minutes. Slice an orange to decorate the bottom of the serving platter for an extra special touch and pop of color. This shop was compensated with free product from Sun Basket for the purpose of providing a review. If you click on a link within the post and make a purchase, we may receive a small commission from the sale at no extra cost to you. All opinions are mine alone. There are many grocery and meal delivery services available these days and we were so happy to be provided with Sun Basket for a review. We have never tried a meal system such as this one before. I worry that these are too expensive and that it won’t supply my family with enough food. Let’s see how Sun Basket was for my family. Pick your plan. There are meals for 2 and family plans available. 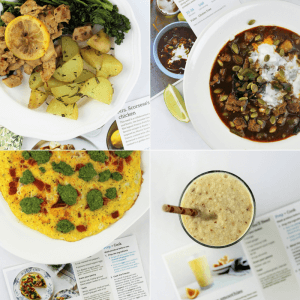 Once the Sun Basket box is delivered to your doorstep, follow the recipe cards to create beautiful meals. All ingredients were delivered in a medium sized box to my front door in just a few days after selecting my meals. I took the photo above to display how organized everything is. All the ingredients were nicely packaged, clearly labeled and fresh. I was very impressed with all the organically grown foods and the fruits that were all perfectly ripe, the herbs were just right, and vegetables as green as they can be. The meat was all packaged and sealed tight so there was no worry of leakage onto other ingredients. Each meal was also packaged in a paper bag to easily store in the fridge and keep the ingredients separate from other meals. The only issue with the delivery was I had one egg cracked. Not a big deal for myself, we always have plenty of eggs in the fridge so it was not a headache to replace it. 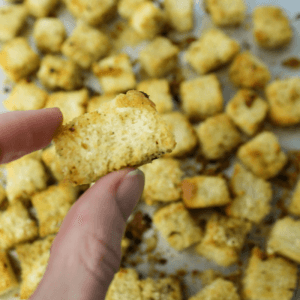 The only extra ingredients need from my pantry were olive oil, salt and pepper. All the meals took under 40 minutes to cook and since most of the preparation was already done for me, besides some chopping, all these meals were super quick to get on the dinner table. Day one we cooked Mrs. Scorsese’s Lemon Chicken and it was fantastic! The recipe card was very easy to follow. I did make one change in preparation by cutting the potatoes smaller than asked. It just makes dinner easier with young kids have everything bite sized. The rosemary on the potatoes was absolutely delicious and the broccoli turned out perfectly. The chicken had a light lemon flavor that the entire family enjoyed. 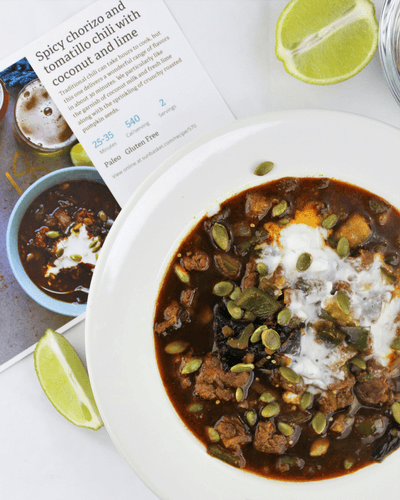 Day two we made the Spicy Chorizo and Tomatillo Chili with Coconut and Lime. I was worried that it may be a little spicy for the kids so I made some chicken on the side just in case, plus the soup was intended for 2 servings. My eight year old son ended up eating an entire bowl for himself. The soup was just a little spicy and had a nice balance of sweet. The pumpkin seeds and coconut milk were a nice touch that typically I wouldn’t think of on my own. 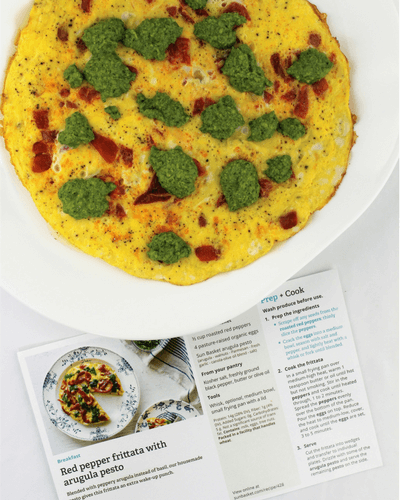 Day three, we cooked the Red Pepper Frittata with Arugula Pesto and the Orange Ginger Smoothie. I also made some hash browns on the side since I wanted to make sure everyone got enough food for dinner. We do love breakfast for dinner! The frittata took about 15 minutes to prep and cook. The arugula pesto was excellent! So fresh and tasty and paired perfectly with the roasted red pepper. 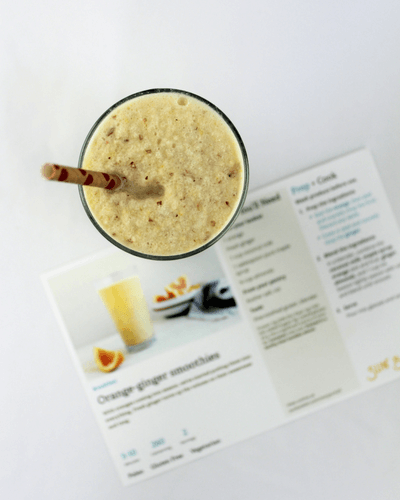 The only item from our entire Sun Basket box that we did not like was the Orange Ginger Smoothie. I did not enjoy it and neither did my kids. I had a feeling that would be the case when I ordered it but it was nice to try something different and have the kids try something new. The orange was perfectly ripe and juicy and the ginger was fresh. It just wasn’t for our taste buds. My taste buds did not do a happy dance on this one. My biggest worries about Sun Basket were the price and the amount of food we received. Once I saw the quality of ingredients and the creativity of the meals themselves, the price was not a big deal for me. We spend a lot of money in food every week and this is much cheaper than going out to eat and about the same price as ordering Chinese food for us but so much healthier. The pricing is honestly very fair. As far as the amount of food we received. It was just right! The serving sizes are well portioned. We are a family of four and we all have hearty appetites. Nobody went hungry and we even had a little bit of leftovers. Overall review of Sun Basket is that the meal system is excellent. 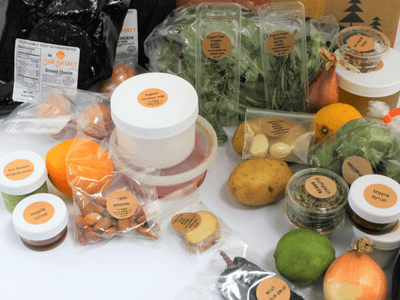 High quality, organic ingredients and creative recipes all packaged nicely and very convenient. I do not enjoy going to the grocery store and it was such a treat to have everything we need delivered but still healthy and still packed full of flavor. The biggest reason to order Sun Basket again will be to try new meals. 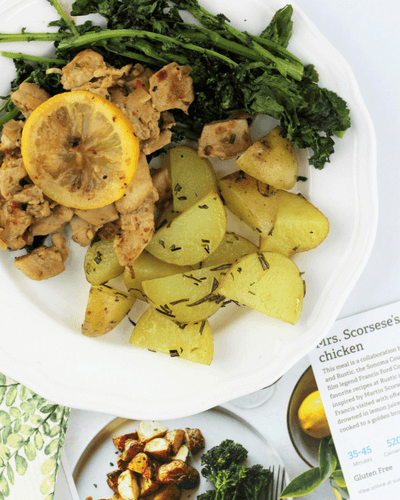 It is hard to come up with dinner ideas every night of the week, it gets exhausting and I think most families get into a rut of chicken, rice, and a vegetable every other night. Sun Basket will help you explore new tastes and shake up that boring chicken night. 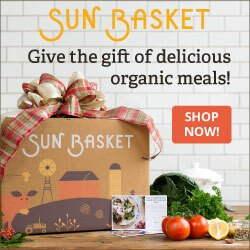 Have you tried Sun Basket yet?